You probably do. I used to post on this blog when I didn’t have 20 credit hours at school, a high school basketball to cover, a really good college basketball team to cover, and a part-time gig to get me some money so I can eat something more than the grass on my front lawn next year to worry about. Lucky for you, my loyal readers, “The Quarter From Hell” is officially over which means more time to devote to content on here. I begun Spring Break the way every good sports fan would by plopping in front of my television to watch 12 hours of college basketball per day with the beginning of the 2012 NCAA Tournament. This year, however, there was a twist. My dad is a Duquesne Dukes season ticket holder. In exchange for having to watch the yearly torture that is Dukes Basketball (they have not played in the NCAA Tournament since 1977), he had the opportunity to buy tickets to the First and Second (I absolutely refuse to refer to them as Second and Third Rounds) Round games that were being hosted by the school. I had never been to an NCAA Tournament game before Thursday, and I can’t recommend it enough. Me and my Dad arrived at the arena at 11:47 a.m. and with the exception of being booted out briefly between sessions, were there until 12:14 a.m. on Friday. 12 hours of live tournament basketball is a great experience. You get to see a lot of teams you’ve only seen on ESPN before, experience the quirky traditions of each school, and be a part of the emotion and fun that makes the tournament so great. After the four games Thursday and two Saturday, I’ve decided on my “Pittsburgh Pod” awards. Please discuss snubs in the comments if you so desire. Sully showed why he is such a fun player to watch in both games putting up big numbers and showcasing his talents on both ends of the floor. He has that LeBron James-type build to him at 6-foot-9, 280 pounds and has great inside and outside games. The kid is built to play in the NBA and was easily my favorite to watch over the weekend. Honorable Mention: Scoop Jardin, Syracuse- Scoop did it all for the Orange in their win Saturday over K-State. He anchors the ‘Cuse fast break attack which have been a treat to watch all year. Honorable Mention: Gonzaga Bulldogs- Any fan who travels well over 2,000 miles to see their team play will never be questioned by me. I’m spoiled as an Ohio Bobcat fan to have the Marching 110 performing at every home game, however the band at K-State comes in not far behind. They definitely had the best song selection, and their unofficial fight song, “Wabash Cannonball”, whipped their fans into a frenzy. It was fun having them right by my section for both of their games. Honorable Mention: Southern Mississippi Eagles- Since Southern Miss couldn’t bring many fans, their band did a good job filling the void. Otto has always been my favorite mascot to play with on the Mascot Modes on the NCAA Football and March Madness games and the little ball of energy was definitely the best costumed character to grace CONSOL. Seriously, how can’t you like this little guy? Although not a single upset happened during the weekend, Syracuse became dangerously close to being the first No. 1 seed to lose to a No. 16 seed. Some bad calls went against UNC Asheville late, increasing the hate for Syracuse to face. They were booed every time the score was announced the rest of Thursday and through the game on that Saturday. Best Moment– UNC Asheville Tying Syracuse in the late stages. So close yet so far. The crowd had slowly been building favor toward the Bulldogs all afternoon, and after Jeremy Atkinson tied the game at 54 with a little over 6 minutes to play, the crowd of 18,000-plus exploded. Chants of “Let’s Go Bulldogs” rang throughout the building as Syracuse called a quick time out after the fact. It was at that point everyone knew they were watching something special. Honorable Mention: Guy Landry Edi’s dunk against West Virginia- Best dunk of the weekend that ended up being the nail in WVU’s coffin, allowing Gonzaga to advance. Both sides came to play and there was plenty of good action. Sullinger and Thomas led the Buckeyes to a hard-earned victory. Nothing instant-classic worthy, but the crowd still got way more than their money’s worth. Honorable Mention: UNC-Asheville vs. Syracuse- After working as a member of the media all basketball season, it was really nice to be a fan for a change for what was almost a historic game. 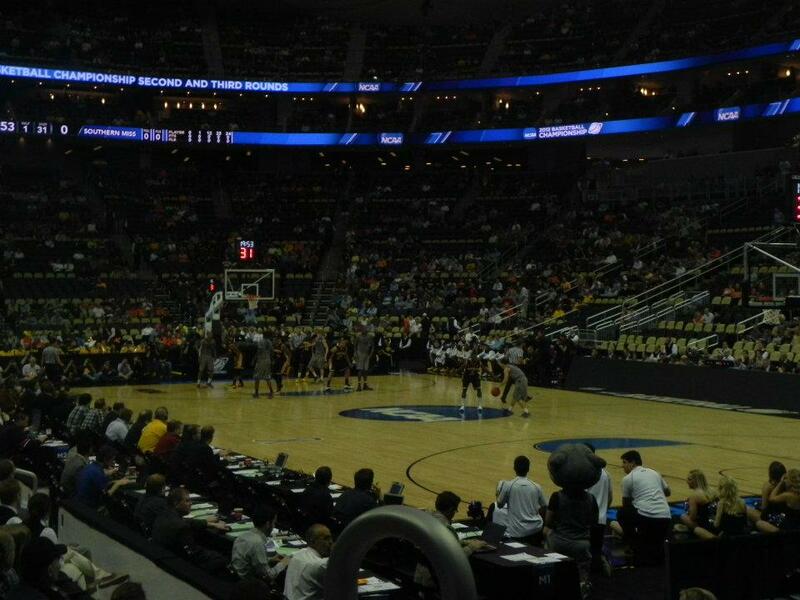 Even though the games made Pittsburgh “Chalk Town” rather than “Upset City”, it was still a blast to attend the games. Rumors are that Pittsburgh may even host a regional in a couple of years, something I fully endorse. I promise I’ll start posting on here more often and check back for a baseball preview soon. And oh yeah, go Bobcats. This day had been a long time coming. 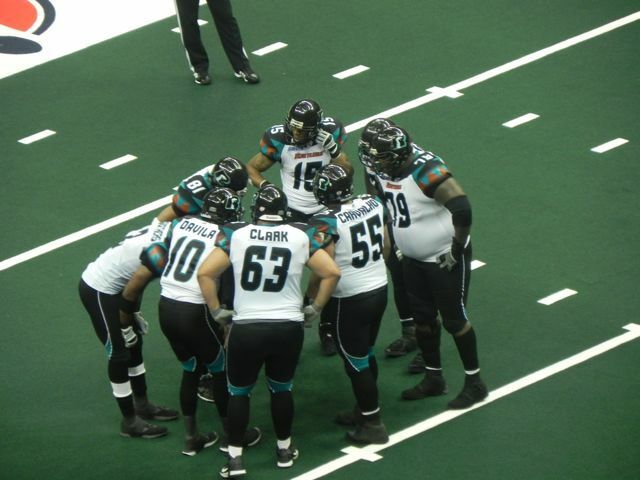 After stumbling upon the Arena Football league as a young kid one day on TNN (Yes The Nashville Network) it instantly became a sport I took interest in. The only problem was, Pittsburgh has never had a franchise in my lifetime. The only time I got to enjoy this game was watching it on TV. Finally in 2011, I would get my chance with the establishment of the Pittsburgh Power. My schedule of school, interning, and a bunch of other things made it difficult to get to a game. 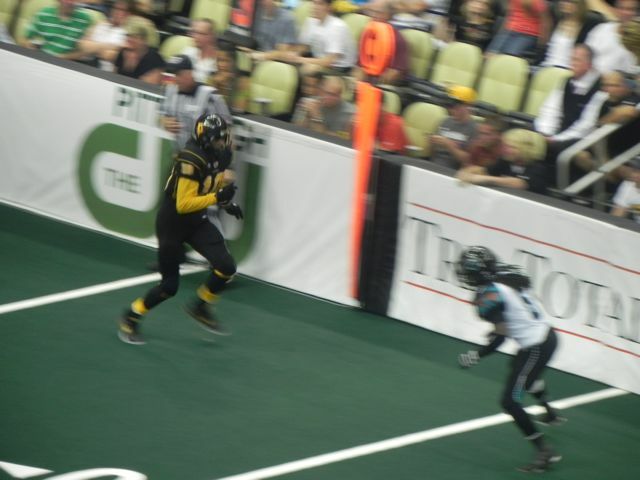 I finally was able to get out to Consol for their final home game of the year against the Arizona Rattlers. If you are unaware of what the Arena Football League it essentially takes the game of football as presented in the NFL and flips it completely. With loud music, plenty of trash talking/ TD celebrations, and fast-pace play, it is very different from what is seen in the fall. 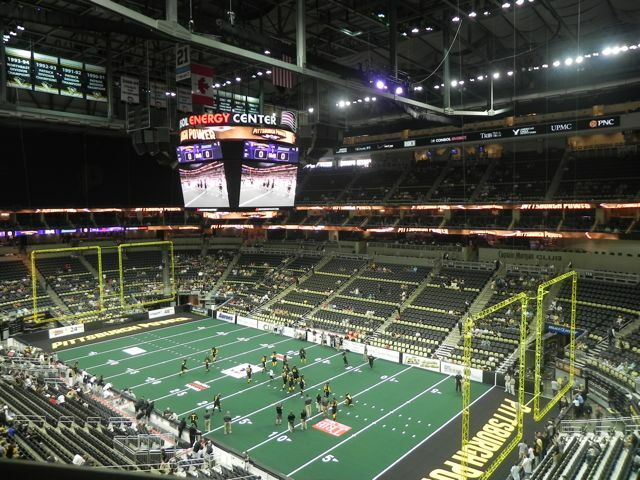 The Consol Energy Center could not be more suiting of a place for an AFL team. The ridiculous sound system the arena offers had my drink resting on the balcony ledge nearly shaking while rap music blared during warm ups. The entry the team had through fountains of sparks was pretty cool too. 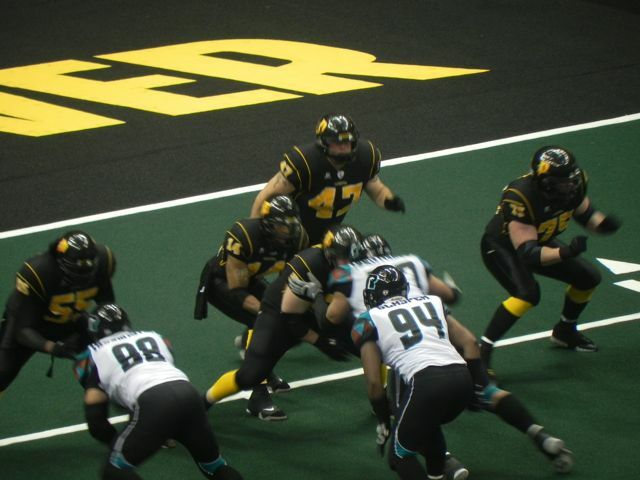 The one goal of Arena Football is to be as fan-friendly as possible. They certainly did a good job of achieving this by bringing fans closer to the game than any other sport. Balls that get thrown into the stands are allowed to be kept by fans. There is no out of bounds so fans close to the front are literally inches from the field of play. The loud, and at times obnoxious PA announcer encourages fans to boo bad calls. After the game, AFL rules mandate that the home team be made available for autographs on the field right after the game. Little things like this make the experience unique. The atmosphere the fans put forth is great too. Though roughly 7,000 fans were in the building (pretty good by AFL standards), the arena got loud while the team was on defense. I’d argue the sea of vuvuzelas and other noisemakers made it louder than the Penguins games I’ve been to at the new digs, even with the place half empty. You can’t go wrong with the $15 general admission tickets, though I question why a team would charge $180 for the front rows with such an inferior product. A good part of the seats in the lower bowl up close were empty. As for the game, the rules have almost a WWE-like fix for the offense. Any penalty the defense commits results in a first down. The offense can have a man charging toward the line of scrimmage as the ball is snapped, and defenders cannot twist while trying to rush the quarterback. Rules like this explain how the Arizona Rattlers scored 10 touchdowns in the 10 possessions they had on the evening. Perhaps the biggest downfall the AFL has is the lack of talent. Back in its heyday of the mid 2000’s, it wasn’t uncommon to see teams with payrolls of $2 million. Now with player making just $400/game after the financial restructuring of the league, they can no longer attract the players they used to,. Tts days as the second best football league in America are over. But flaws aside, I still found myself having a great time even though the league-best Rattlers crushed the Power. Yes, it may not be a perfect game, but it is different, and I like different. 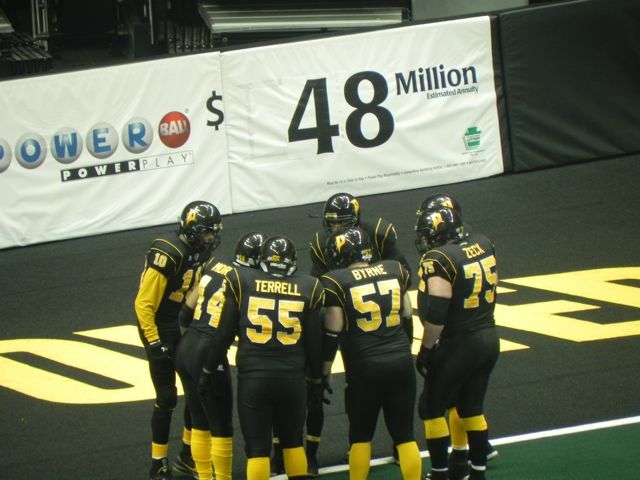 The biggest goal of Arena Football is to make sure it’s all about the enjoyment of the people coming through the turnstiles. Any organization that operates with that goal is a winner in my book.